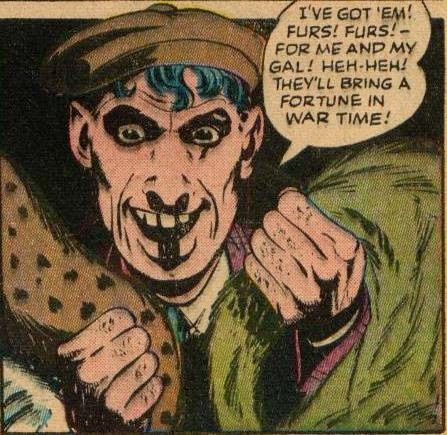 Was there a fur shortage during the war? Did the army use furs for something? If you tell me that food or guns or rubber or steel will bring you a fortune during wartime, I'll sign off on that statement right away. Am I horribly misinformed about the workings of stateside wartime grey-market commodities? During World War Two, people did indeed donate old or surplus fur coats and fur pieces to be refashioned into fur lined vests and gloves for servicemen, especially for those on duty at sea, where the donations were no doubt warmly appreciated (no pun intended).